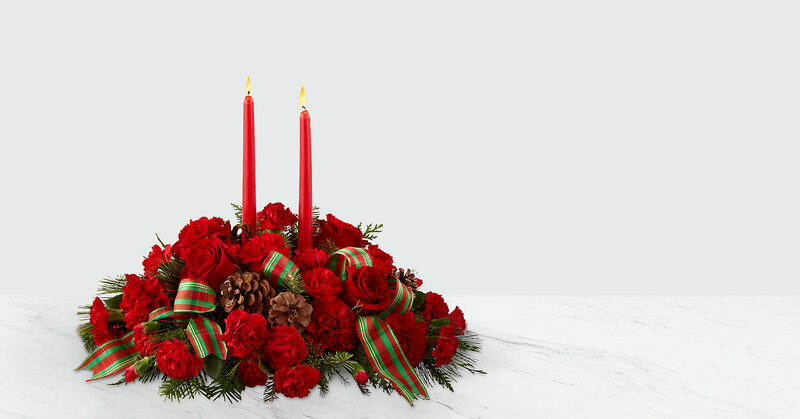 Share the joy of the season with a centerpiece full of festive blooms and gorgeous season's greetings. 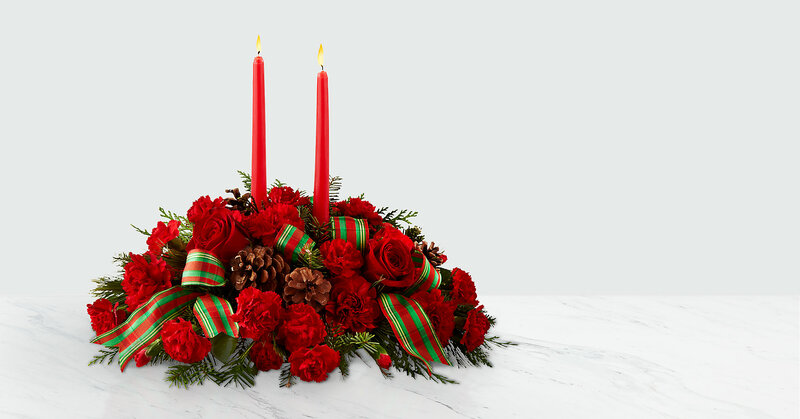 A collection of bright red roses, carnations and mini carnations are elegantly put together among assorted holiday greens and fresh, natural pinecones. 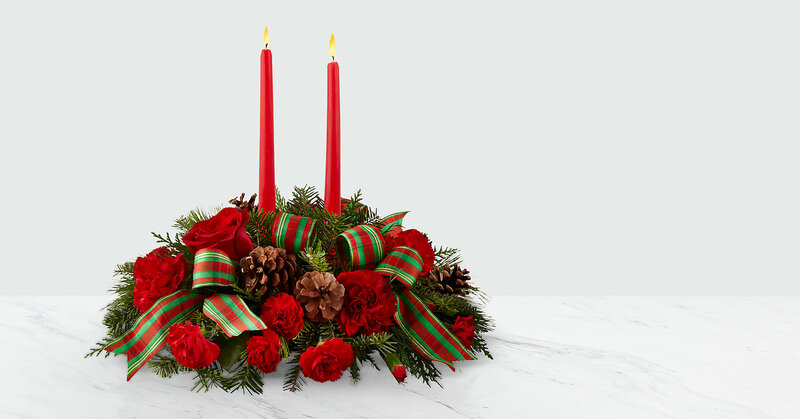 Our Holiday Classics Centerpiece is completed with two tall, red taper candles and a red and green striped ribbon that truly capture the magic of the holiday's. This arrangement is perfect for decorating any table for your holiday gatherings. Your purchase includes a complimentary personalized gift message.